Delicious pizza, very fresh ingredients will definitely have pizza from Upper Crust again very soon! We really enjoyed the delightfully thin gluten-free crust, and the toppings were just the right amount—not skimpy, but also not overdone. Very nice people working there, too. Our pizza was really outstanding. The vegetarian GOAT pizza was delicious! The pizza was hot and ready right when it was promised. I look forward to returning! Delicious, fresh and made fast!! The pizza was very tasty and delicious! The person who had taken my order was attentive and the service was quick! I will definitely come back to this place! The seasonal white truffle pizza was great. The thin crust was perfectly done and they sliced the mushrooms paper thin so you got the taste but no weird mushroom chunks that you find at other pizza stores. Would definitely go back. Pizza came fast and the food was really tasty! Very clean establishment, including the bathroom. Pizza was delicious and staff was friendly. The service and food were really great. Finally a pizza with awesome varieties!! Much more tasty than we had imagined! A great combination: chicken, bacon and ranch. We would definitely order again. Great pizza! Extremely flavorful and love the crispy crust. Was surprised it wasn’t busy at all. A big thank you to Spindler Confections for the Nift certificates! I absolutely love Upper Crust! I think it has some of the best pizza in Boston. I will definitely be back soon! Great thin crust pizza. 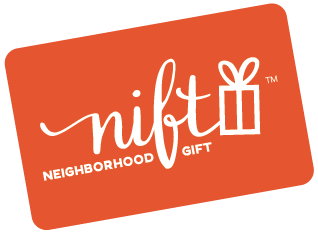 The nice thing about the Nift Card is it takes off the tax as well. Really nice staff and customer service. Pizza was also tasty! Delicious pizza & friendly staff! Loved it!! always love trying a new, local place. And uppercrust was delicious! I will be sure to recommend to friends. We've been to UpperCrust before to try their single slices, but with Nift we came back to try it one more time and try a pizza we'd never try otherwise - and we're so glad we did. Upper Crust Pizzeria has delicious pizzas and ingredients I would never imagine putting together - will definitely be coming back and recommending this place to friends! The Upper Crust pizza was delicious! Great food - thank you! Pizza was good. Customer service seemed off - i think both employees were having a bad day but it really showed. Amazing thin crust pizza, excellent customer service!!! The cheesey bread here was awesome, there was so much cheese! The only downside was the side of marinara was ice cold.